Vegetarians used to get a pretty rough deal eating out on Mallorca, but things have improved immensely for those who choose not to eat meat or fish (and also for vegans). It’s a far cry from our first experience – in 2004 – of taking some island-visiting veggie friends out for dinner. The two Mallorcan women who ran the coastal village restaurant we visited had always been friendly and helpful in the past and, as it was not the main tourist season, we were sure they’d be able to rustle up something of a vegetarian nature, even though the menu offered nothing savoury without fish or meat. Plate of slightly overcooked cauliflower anyone? Yes, that’s what our friends had for dinner that night! Today, vegetarians can even enjoy a gastronomic experience eating out on Mallorca, but confusion still remains in a few quarters about the concept of vegetarianism. We experienced it only this year, when Mallorcan neighbours invited us and a couple of British friends, who have a holiday home here, to a party to mark Sant Antoni in January. Our friends explained that they didn’t eat meat or fish, and then our well-meaning host offered them sobrasada . . . a cured pork product. I can perhaps understand a Mallorcan farmer (who raises sheep and pigs) not being up to speed with vegetarianism, but I was surprised, just a couple of months ago, by a restaurant in central Palma offering three vegetarian dishes . . . one of which contained prawns, the other, clams! What a trailblazer this Palma restaurant must have seemed when it opened its doors in 1978, to become the island’s first vegetarian establishment. Open for lunch Monday to Saturday and for dinner Thursday to Saturday, this restaurant is within turnip-tossing distance of the city’s prestigious boulevard known as the Borne. Their cuisine includes vegan and raw dishes, with a four-course set lunch and vegan haute cuisine for dinner. 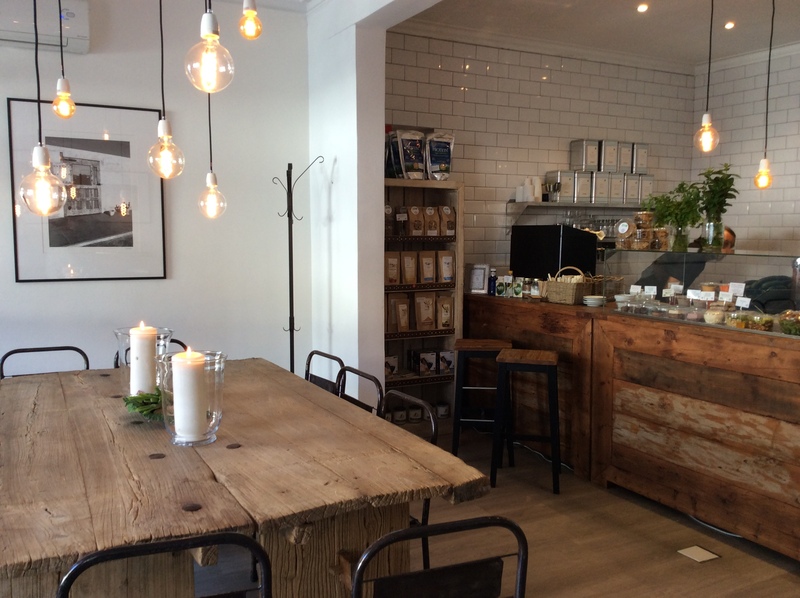 Not really a restaurant, but a stylish and welcoming little café open throughout the day (but not at night), serving authentic-recipe baked-on-the-premises bagels (with choice of sweet and savoury toppings) and superb Illy coffee – among other things. The lovely owners Andrew and Stephan are vegans, so vegetarians have plenty of choice. In the Palma district of Santa Catalina, and opposite the covered market of the same name, Ziva to Go is another great lunch stop, offering vegan and raw cuisine. Come for breakfast too – but it’s closed at night. 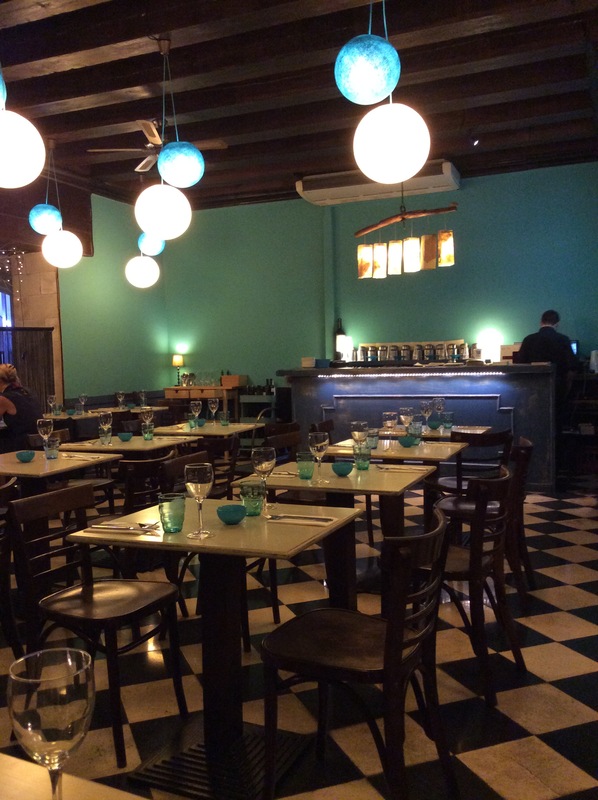 Since this post was originally written, Ziva to Go has also opened in C/ Protectora in Palma (with a lovely rear garden terrace) and in C/ Valencia on the Son Bugadelles industrial estate, Santa Ponsa. When it first opened, Es Ginebró – owned and run by Joan Coll and his family – was the first restaurant in Inca serving vegetarian food. Today it’s known for organic, veggie, and vegan dishes, and is very popular. They offer a good choice of only organic Mallorcan wines. And if you want to take advantage of those without worrying about driving, the restaurant is only a short walk from Inca railway station. 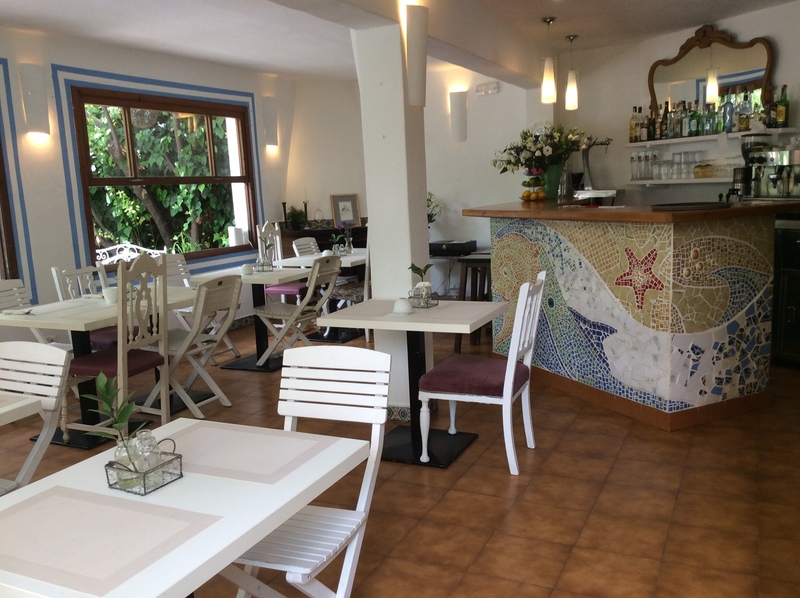 A recent discovery for us – and what a great vegan and vegetarian restaurant this is, in the resort of Puerto Pollensa. Just off the seafront, it’s next to the Bellaverde Pension and has a really lovely garden and tranquil ambience. 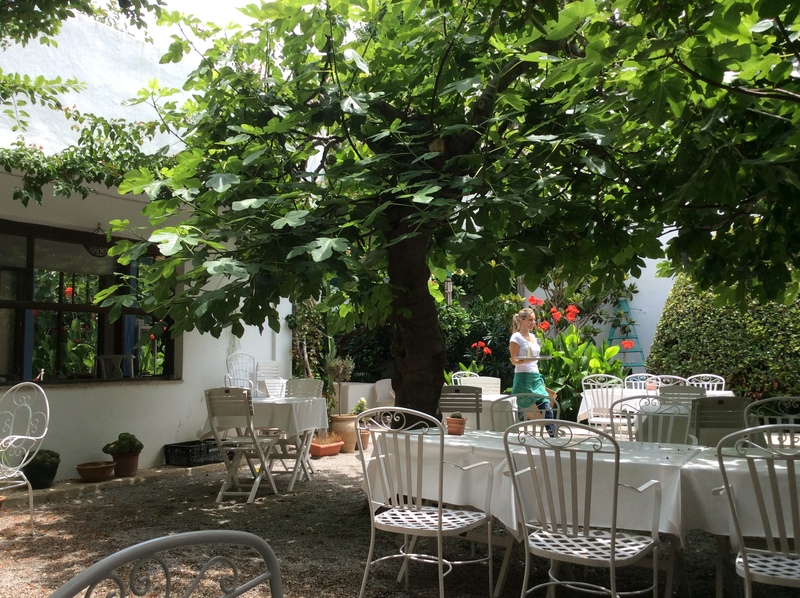 We had an amazing lunch here, with four of us trying dishes including the Ensalada Bellaverde (14,50 euros) – a generous salad served with a scoop of coriander ice cream; Thai vegetable curry with tofu and rice (12 euros), and pink fusili with beetroot cream (9,50 euros). Portion sizes were generous and the flavours were excellent. If only we lived a bit closer . . . The following are some of the fine dining restaurants on Mallorca offering choices for vegetarians. Whilst I haven’t tried the vegetarian cuisine in these places, I have eaten in them all. If you have tried any of their veggie dishes, I’d love to have your views. The Michelin-starred Es Fum (St Regis Mardavall Mallorca Resort) offers a six-course vegetarian tasting menu for 102 euros. El Olivo at the 5-star Belmond La Residencia in Deià offers some vegetarian dishes on their à la carte menu. Executive chef Guillermo Méndez and his team will create a vegetarian tasting menu, if requested early on the day you wish to dine. 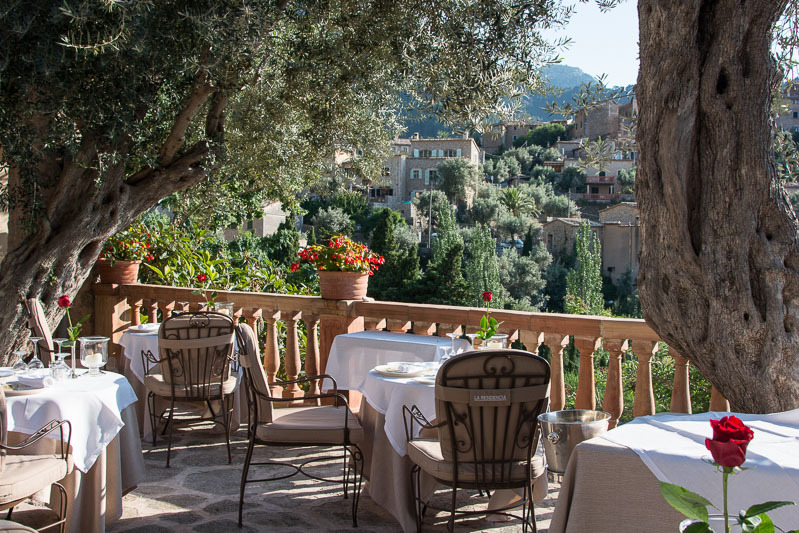 The terrace of El Olivo restaurant at Belmond La Residencia. Valldemossa Hotel & Restaurant offers cuisine for vegetarians and vegans. The Michelin-starred Marc Fosh, in Palma, has a vegetarian menu and will create a superb vegan menu, given advance notice. Another place to mention is Alessandro Di Feo and Gert Hofman’s restaurant L’Ospite (FB: L’Ospite) in Palma. Chef Alessandro serves delicious and authentic Italian cuisine – much of it based on his grandmother’s recipes. Vegan friends have reported having had superb dinners created for them, having given the restaurant 24 hours’ notice. This article by no means covers all of the restaurants where vegetarians can eat a variety of dishes a lot more exciting than a plate of cauliflower (! ), so please feel free to add your own recommendations in the comments box. Thanks, Martin. I don’t know this one. Must check it out . . .
Best wishes to you and Annie. Hope the season is going well at your lovely agroturismo in Porrees! Another great place for veggies/vegans is A ma Maison in Santa Catalina Palma as the owner chef cooks from scratch and so caters for all types.. Thanks, Steve. All recommendations gratefully received! Best wishes, Jan.
Hi! Good to hear from you. It’s fascinating and exciting that increasing numbers of eateries in Mallorca are offering vegan and veggie options – at long last! Your business sounds very interesting and, when I am in Palma next with a bit of spare time, I shall come and check you out, with a view to writing a post about Es Badulake. I certainly plan to update the post you’ve commented on as there have been quite a few developments recently. Thank you for taking the time and trouble to get in touch and I look forward to meeting you some time in the not-too-distant future. Thank you for letting me know about your ‘manifesto’ – which I’ve had a look at. I have ‘liked and followed’ your Fbook page, so should be able to keep up to date with what’s going on until I can come and visit. I admire your philosophy. If we all made small changes to improve our impact on this world, such a great difference could be made.